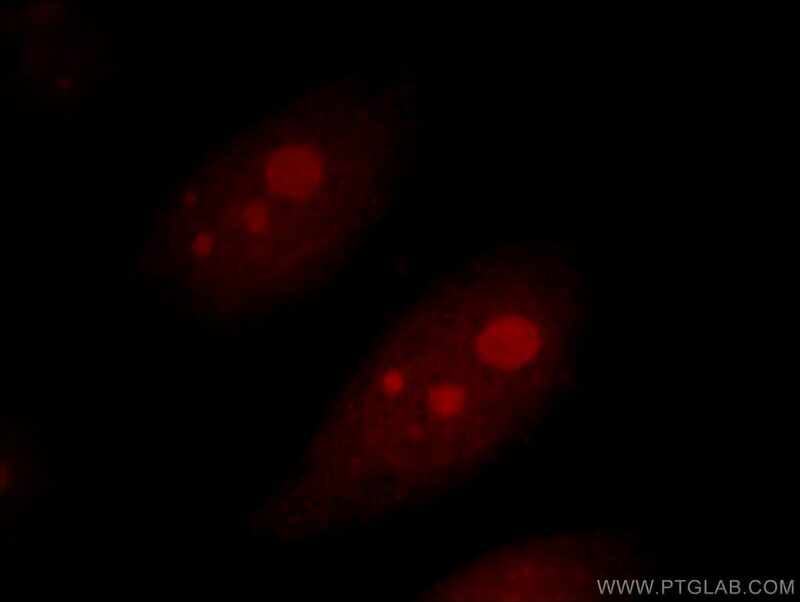 Immunofluorescent analysis of Hela cells, using AATF antibody 10282-1-AP at 1:25 dilution and Rhodamine-labeled goat anti-rabbit IgG (red). Apoptosis antagonizing transcription factor (AATF) is a nuclear phosphoprotein of 523 amino acids and contains an extremely acidic domain and a putative leucine zipper characteristic of transcription factors. AATF was identified on the basis of its interaction with MAP3K12/DLK, a protein kinase known to be involved in the induction of cell apoptosis. 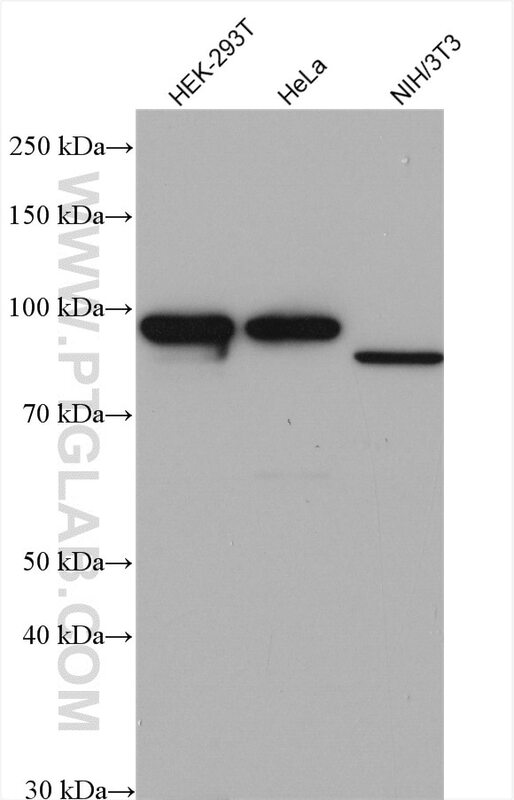 Overexpression of this gene interfered with MAP3K12 induced apoptosis. AATF also binds Rb and the core of pol II, and may be part of transcription regulatory complex.